Saturday, April 20, 4 p.m. – Katy Tahja on Emily Fish Introduces Lady Lighthouse Keepers! 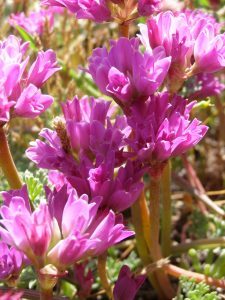 Saturday, May 18, 4 p.m. – Dr. Nancy R. Morin on Plants of the Mendonoma Coast–what have we learned, and what mysteries remain? Admission to all lectures is $5 per person, with the proceeds benefiting the Point Arena Lighthouse Keepers, Inc. To make reservations or for more information on our lecture series and other special events, see our Calendar of Events or call the Lighthouse at 707-882-2809 extension 1. On Saturday, April 20 at 4 p.m. Katy M. Tahja will present “Emily Fish introduces Lady Lighthouse Keepers!” as part of the Lighthouse Lecture Series. Did you know there were more than 50 lady lighthouse keepers in years past spread all over the coastlines of North America? How they got their jobs, and the adventures they had, will be shared at this Point Arena Lighthouse event. 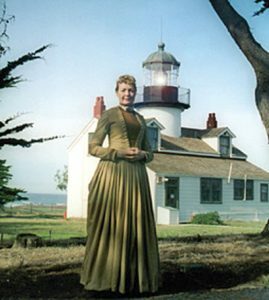 People of all ages who love lighthouses can help in this interactive presentation by deciding which lady lighthouse keeper you want to know about? Directing the conversation will be the spirit of Emily Fish, from the Pt. Pinos Lighthouse in Pacific Grove a century ago. 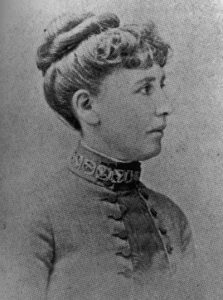 Local historian and author Katy M. Tahja is part of a family that arrived in Mendocino County in 1883. A retired librarian, she has been a docent at the Kelley House Museum in Mendocino 12 years and has written several books of local history. She has several women in history she portrays in storytelling events and finds it a fun way to share history. On Saturday, May 18 at 4 p.m. Dr. Nancy R. Morin will present “Plants of the Mendonoma coast–what have we learned, and what mysteries remain?” as part of the Lighthouse Lecture Series. Dr. Morin is a botanist who studies the relationships of plants. 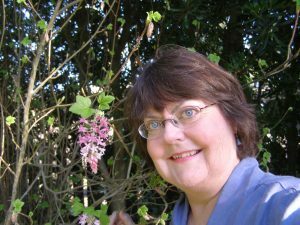 She received her PhD in botany at University of California, Berkeley and has worked at Missouri Botanical Garden in St. Louis, the American Association of Botanical Gardens and Arboreta, and The Arboretum at Flagstafff. Passionate about plants and their importance in our environment, she has worked since 1983 on a massive project to produce a flora of the plants of North America north of Mexico. On Saturday, June 15 at 4 p.m. Scott Mercer will present “Large Baleen Whales of the Local Coast” as part of the Lighthouse Lecture Series. A close look at the common Large Baleen Whales of the Local Coast: humpback, finback, and blue whale, with a special emphasis on the ecology of the gray whale and the 2019 census. For each species we will look at their overall dimensions, populations geographic range, food preferences, and feeding strategies. 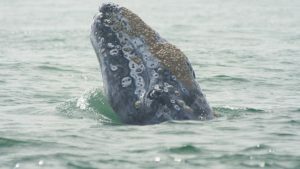 We will give extra emphasis to the ecology of the gray whale and report the results of our sixth annual gray whale census and mother/ calf pairs. Scott began studying marine mammals in 1974 with a lengthy feeding study of the sea otter in Monterey Bay. In 1978, he founded New England Whale Watch Inc, operating the business until 1990, affording him as many as 165 days at sea each year. During the off-season, Scott co-founded a research station in Nova Scotia, Canada, studied humpback whales in Newfoundland, Canada, served on a research vessel from Woods Hole Oceanographic Institute, and led ecotourism expeditions in the Caribbean. Scott taught a marine mammal class for 14 years at the University of New Hampshire, as well as marine related classes and shipboard courses. He has published three books, including The Great Whale Book and Whalehead Nation. On Saturday, July 13 at 5 p.m. Michael B. Combs will present “Point Arena in the 1950’s – Growing Up in a Beehive of Activity” as part of the Lighthouse Lecture Series. Michael was seven when his family moved from Southern California to Point Arena in 1949. Sleepy Point Arena soon became very busy as the Air Force arrived in 1950, the saw mills grew and flourished, and ranching, farming, and fishing prospered too. He took it all in, as the Baby Boomer flood swamped the four-room elementary school and families lived in abandoned buildings and crammed into tiny apartments. It was a wonderful and exciting time to be alive and young. 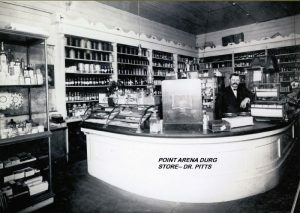 Michael’s family moved to Point Arena in 1949 when he was in the 2nd Grade. They lived for a while in the old abandoned high school building across from the Catholic Church, and later built their own home behind the Elementary School. His younger brother Ron and he helped build their home, using a borrowed plow horse and Fresno scraper to dig a full sized basement. 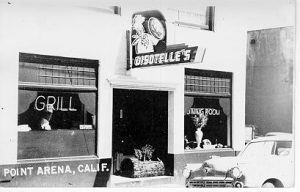 After graduation from Point Arena High in 1960, Michael went to Humboldt State a year, Santa Rosa Junior College a year, then the Air Force for 21.5 years – married his high school sweetheart Marilynn (they had three sons) – and attended five other colleges while in the Air Force. He started as a Russian linguist, then became a Budget and Finance Officer and Internal Auditor. After 14 moves, an MBA and CPA, he retired from the Air Force and worked at Lockheed, Sunnyvale, for ten years, then on to some other jobs including Kaiser Permanente, Oakland, and Nummi, Fremont. Marilynn died of breast cancer in 1988 just after their 25th anniversary, and he chose his current wife Alice from a book and they married in 1989. He retired in 1998 and he and Alice moved to Gualala, which they love over all places, while traveling quite a bit and loving coming home. Every day they play ball with their doggie Radar on Cook’s Beach and remind themselves not to take their wonderful lives here on the coast for granted. 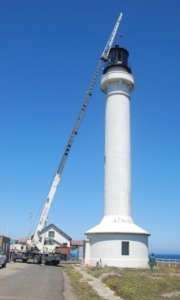 On Saturday, September 21 at 4 p.m. Nik Epanchin will present “Point Arena Light Station Renovation 2008-2010“ as part of the Lighthouse Lecture Series. Nik joined the PALKI Board in September 2006 and soon he and Pauline Zamboni became the co-Project Managers of the Light Station renovation effort. 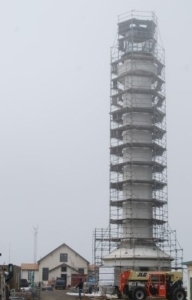 This presentation will include a a brief status of the Light Station prior to renovation, the effort required to obtain funding for the renovation and the details of the renovation itself. An accomplished photographer, Nik also chronicled the entire project and will share many of his photos of the renovations. 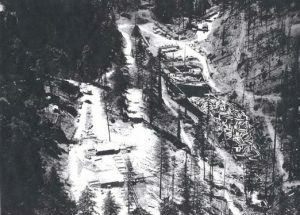 His main task was the day to day field work and keeping an accurate track of the costs to keep both the PALKI Board and California Cultural and Historical Endowment (CCHE) informed. Nik is a local resident and currently PALKI’s Co-Vice President. 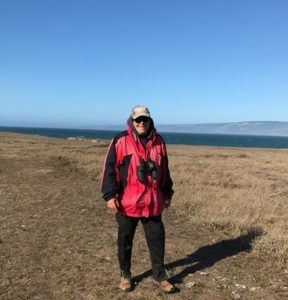 He has been a winter docent at the Point Reyes National Seashore since 2002. 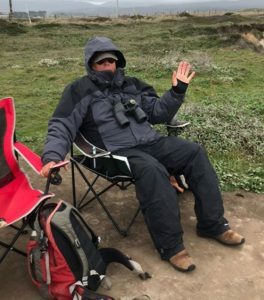 He has welcomed visitors, helping them view, understand and appreciate northern elephant seals and their unique life cycle; gray whales and their south and north migrations and other coastal fauna, thus promoting the public’s awareness of these species and their need for protection. 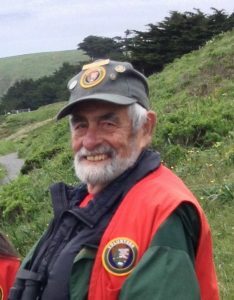 As docent he also leads tours of the Point Reyes Light House. In February 2010 Nik was elected PALKI Board Vice President and two years later President, serving as such until April 2017 at which time he became Vice President. Since March 2018, he and Laura Franklin are Co-Vice Presidents. Nik continues being involved in the maintenance and upkeep of the station, he leads many of the popular Full Moon Night tours and participates as best he can in preserving the Light Station for future generations. On Saturday, December 21 at 4 p.m. Lisa Giacomini will present “Superfoods on our Coast – Hunting, Gathering, Cooking, Preserving” as part of the Lighthouse Lecture Series. Superfoods are foods that are nutritionally dense in vitamins, minerals, antioxidants and flavor. These “free”, natural and organic foods exist everywhere in our coastal environment. This series will talk about where to hunt for them, how to gather or catch it, cook it, store it and preserve them. We will cover ocean to mountains between the shoreline and the ridgelines near Point Arena. This presentation is a list of tips and tricks to make your outdoor life fun and healthier here on the South Coast. Lisa is a firm believer that food is medicine and will also touch on how nutrition from these Superfoods wards off everything from heart disease to cancer. This series is not intended to impart too much science, but more about how to find, prepare and enjoy many different types of wild foods found here. Lisa is the owner of Giacomini Specialty Products, known locally as Baby Tomato which is also a trademark and brand. Baby Tomato also does private events, personal chef, medicinal foods for clients, event planning, and fundraising for non-profits and all things “food”. All Baby Tomato foods are made with the freshest, most local and seasonal foods of the coast whenever possible. Lisa is a 30 year experienced free diver, hunter and avid outdoors person and helps others to develop the skills they need to thrive here.